The must have Nintendo products for Christmas! Nintendo has been a brand and name I can remember from my childhood and one most people will know regardless of age. They are the creators of some of the most icon electronic gaming systems and characters we all know and love and its great to still see them producing great products! I think my first Nintendo product was a Gameboy and I loved it! It was the old style huge chunky grey ones with the black and white screen that you couldn't see if you sat in the sun! 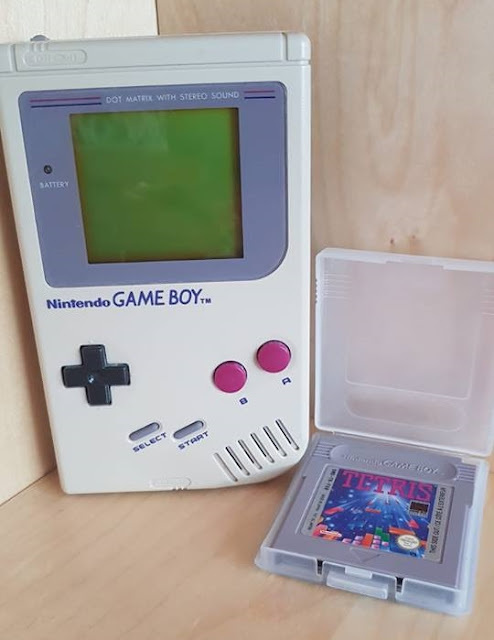 I played on it every day and remember going to buy new game cartridges for it with my mum and dad and it being the highlight of my weekend, spending my pocket money! Of course things have advanced a lot since then and Nintendo have definitely moved with the times. They still have the Gameboy but it is of course very much updated, with a slimmer casing and full colour screen its modern and up to date but still keeping with the feel of the older Gameboy which I love. Sitting at the top of my sons Christmas list this year is one of most popular Nintendo products at the moment, the Nintendo Switch. The Nintendo Switch is the seventh major games console developed by Nintendo. Considered by Nintendo as a "hybrid" console, it is designed as a home console to be played with by children and adults alike. The main unit can be inserted onto a docking station to connect to a television via a dock. Alternatively, it can be removed from the dock and used similarly to a tablet computer through its LCD touchscreen. Its wireless Joy-Con controllers, which include standard buttons and directional analogue sticks are motion sensitive and react quickly to the users motions and movements. You can also attach the controller to the side of the main game unit when using in handheld play mode. I have to admit it looks fantastic and as its quite small doesn't take up to much room either. It is in the same market as the Sony PS4 and Microsoft XBOX One and as such has a similar range of games available to play on it to. You can even get the brand new Fifa 19 and if you check out Latest Deals can get the game at a cracking price of £41.95 currently on the Nintendo Switch. You can also find some classic games for the console that I remember playing as a kid such as Super Mario and Crash Bandicoot! There is also the Nintendo Labo which I think may be the most innovative and interesting product I have come across when it comes to games consoles. 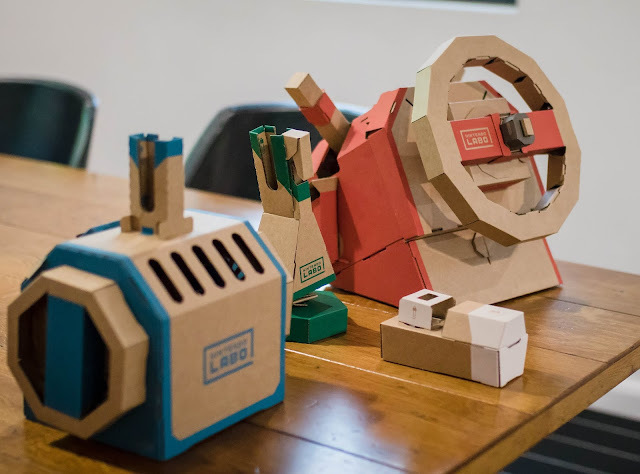 Nintendo Labo is a selection of craft kits essentially in which you make models from cardboard cut outs with details instructions to follow. You can then add your switch controllers in certain places on your creation and bring it to life through the game and your console, how amazing is that!?! From fishing rods to submarines and everything in between the creation and imagination possibilities are endless thanks to Nintendo. 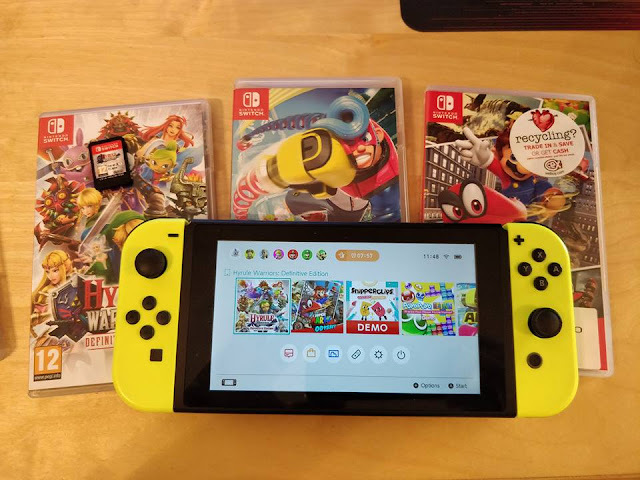 For me I think the Nintedo Switch tips other consoles simply because it is so versatile. Being able to switch from a console used with the TV like a classic console to a handheld tablet means their is a mode for every game and every person dependant on how you prefer to play. Its sizes means it is easy to store and having two controllers that come with the console means I don't have to shell out more for extra controller so both kids can play. There are games they can both enjoy as well as games for me and my husband to enjoy once the kids let us have a go. Do you have a favourite Nintendo product or do you remember having any Nintendo products as a child?